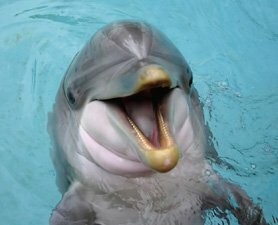 A new device may soon help humans talk to an all time favorite animal from under the sea, the dolphin. 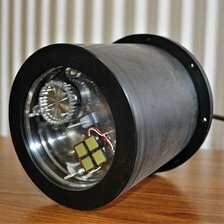 Researchers at Tokyo University of Marine Science and Technology have invented what is called a Piezoelectric Underwater Speaker that was built to help humans understand the language of the dolphins. The new device can imitate the famous squeaks, squawks, and clicks that the dolphins are known for. Although other devices have been created to help learn about the sounds dolphins make, this speaker can imitate the full range of highs and lows. Some of the highs and lows are out of human range and cannot be heard by humans, but this new device can pick up on such unheard sound waves. Research has already determined that dolphins are smart as far as being trainable, but if we knew their language we just might know how smart they really are. The invention is still in the testing process, but the progress looks positive. This machine may give us new insight on one of Earth's smartest animals, but users will need to be smart enough to use the device as a learning tool rather than a way of trapping. In some parts of the world including Peru and parts of Japan dolphin meat is considered food despite its high mercury content. Controversial trapping called dolphin drive hunting occurs which uses a boat to force the schools of dolphins into a net. Kept in the right hands though, the device may lead to us being able to take a Dolphin 101 language class and converse with a mammal that is much like ourselves! Dog CPR! The Animal Video Of The Day!!! Tuna! The Amazing Animal Video Of The Day!! !